I bought the camera intending to concentrate on flowers, especially macro shots, though I knew I’d be taking lots of landscape photos as well. What I didn’t expect was that insects, particularly bees and dragonflies, would be so compelling. Buttonbush (Cephalanthus occidentalis) was featured on July 8. 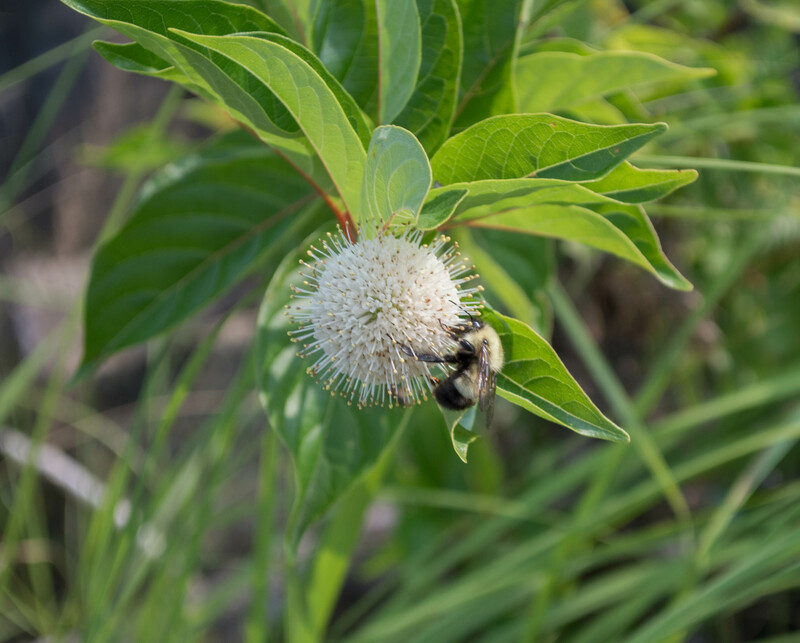 This entry was posted in Uncategorized and tagged bee, bumblebee, buttonbush, Cephalanthus, madder family by elizabeth. Bookmark the permalink.